You tried again and you failed. This morning I was involved in a motor vehicle accident which should taken me out of this life. I was in a rented Chevrolet Impala and was rear ended by a 2004 Nissan Xterra. The vehicle (that I believe you used) came at me, I believe, in another one of your lame attempts to end my life, more importantly, my ministry . . . and one again you lost. I am part of an army of pastors, preachers, bishops, apostles, ministers, believers, and servants that the Lord has used to preach or teach or lead or assist or attend that has been on your hit list ever since the debacle in the Garden of Eden. Like many of those who you have attacked, you are admittedly crafty and subtile, however my life is not in your hands – it’s in the Hands of the Lord. You have come at me through objects, tools, people, tests, trials, trouble, pain, illness, cancer, family, friends, associates, those who’ve I ministered to and assisted with words or finance, ecclesiastical leaders, innuendo, and sometimes by even the closest people to me (including others who are listed in the army above) . . .
. . . but I’m still here. I guess you thought I would have folded up the tent by now. I guess you thought I would have quit and threw up my hands. I guess you thought I would have renounced my ministry by now. I guess you thought I would have said there is no God by now. I guess you thought I would sugar-coat my sermons and just serve for the money by now. I guess you thought I would have fallen prey to ideas that would have harmed myself. I guess you thought I would have runaway from the ministry and never served God again. But you were wrong. What you don’t realize Satan is this: My calling is more important than my classification. My calling has taken me from Bro. Houston to Minister Houston to Reverend Houston to Pastor Houston to General Secretary Houston to Board Member Houston to Senior Project Manager Houston to Congress Dean Houston to Board Chairman Houston to Vice Moderator Houston to Assistant Pastor Houston to Evangelist Houston to Lecturer Houston to a plethora of other titles and service areas. I didn’t get the titles because of who I am. I received the titles because of who I belong to. God has blessed me – when people tried to hurt, hinder or hate on me – God has not only blessed me, He has surrounded me with those who encouraged me when I was down, ministered to me when I was empty, and sheltered me from the storms of life. As I call this a night on a Saturday evening, I just wanted to remind you Satan that I have a praying wife, a praying congregation, a praying family, praying denominational ties, and, oh by the way, most importantly, I have a Savior who sits on the right side of the Father, who makes intercession for me. p.s. If you have any problems with this Satan, please contact God. The Macedonia Baptist Church is currently accepting applications for the Position of Pastor. We are prayerfully seeking a candidate who has demonstrated the capacity to meet the standards of pastoral leadership. Rev. Dr. Zacchaeus Dunham Sr.
Rev. Dr. Zacchaeus Dunham Sr. went home to be with the Lord on Feb. 6, 2014 in Stockton, CA. Rev. Dunham Sr. was Pastor of God’s Throne Baptist Church of Stockton for 45 years until his retirement in 2011. Rev.Dunham was a minister for 64 years and organized 5 churches that are still active today. Rev. Dunham was Moderator of the Mid Valley Dist. Assoc. of North Calif. for 12 years and Moderator At Large of the California State Baptist Association. Rev. Dunham was a Police Chaplain for the City of Stockton until his retirement. Rev. Dunham received numerous accommodations and recognitions from City and State Officials of Stockton and Northern California. He leaves to cherish his memories his devoted wife of 65 years Jewell Dunham; seven sons: Rev. Zacchaeus Jr. (Claudine) of Tracy, CA, Bruce Sr. of Stockton, CA, Rev. Anthony Sr. (Monica) of Seaside, CA, Rev. Ronald Sr. (Cathy) of Merced, CA, Randall Sr. (Eva) of Turlock, CA, Rev. Timothy Sr. (Beverly) of Stockton, CA, Rev. Mark Sr. (Delichia) of Modesto, CA; one brother Aubry (Ocie) of Stockton; 45 grandchildren, 42 great grandchildren, numerous nephews, nieces, Godchildren, cousins, family, friends and the God’s Throne Baptist Church Family. Preceded in death by his parents, 11 siblings and one great grandson. Viewing was held on Wednesday February 12, 2014 from 10:00 a.m.-4:00 p.m. at Jesse E. Cooley Mortuary, 640 N. California St., Stockton, CA and 5:00 p.m.-7:00 p.m. at God’s Throne B.C., 405 E. Lindsay St., Stockton. Homegoing Service: Thursday, February 13 at 11:00 a.m. at God’s Throne B.C. with Rev. R.A. Williams from McCoy Memorial Church, Los Angeles, CA officiating. The Rev. Dr. Morgan Babb, a minister, singer and longtime gospel DJ in Nashville, died on Friday, February 7, 2014. He was 84. Rev. Babb spent more than half a century on Nashville-area airwaves at longtime gospel station WVOL-AM and then WMDB-AM, a station he launched in 1983. He came to Nashville in 1954 as part of The Radio Four, a gospel group he and his brothers started in the 1940s. By then, they had record deals with Republic and Nashboro Records. Years later, he stopped traveling with the group and starting spinning records full time so he could spend more time with his family, said his daughter Celeste Babb-Laribo. From there, he became a mainstay in the Nashville radio industry with his morning gospel shows at WVOL-AM, said John Heidelberg, the station’s owner. Known by his nickname, “Happy Jack,” Rev. Babb spent nearly three decades at the station. In 1965, he founded King Solomon Missionary Baptist Church in North Nashville, where he preached for decades, nearly up to his death. Rev. Babb’s faith was frequently intertwined with his radio work during his career, his family said. Through his radio shows, he would pray with callers and organize meals for the homeless. “That was the first time we heard of anyone doing anything like that in those days,” his daughter Debra Rice said. Rev. Babb was also considered one of the leading entrepreneurs in Nashville’s African-American community, said the Rev. Enoch Fuzz, who knew Rev. Babb for nearly 30 years. Preceded in death by wife, Lorall. Survived by children, Larry (Patricia), Prophetess Dr. Lanny, Gerry (Dora), Michael (Rochelle), Debra, Celeste (Shann) and Dale (Vanessa); eight (8) grandchildren, 5 great-grandchildren; a host of nieces and nephews; other relatives and friends. Public visitation Wednesday, February 12th, 1-6 p.m., the chapel @ Smith Brothers. Thursday, February 13th, 9-3 p.m., Lie in State at King Solomon MBC, 1417 – 10th Ave. N.
Family visitation 6-7 p.m., funeral service to follow, Baptist World Center, 1700 Baptist World Center Dr. Pastor Montagne McDonald, Officiate; Pastor George Brooks, Sr., Eulogist. Interment Hills of Calvary Friday, February 14th @ 10 a.m.
Rev. Dr. Fred Kelly Haynie Jr. 91, of Glasgow, departed from this life on January 25, 2014 at The NHC Facility in Glasgow, Kentucky. He was born on April 29, 1922 to the union of Fred Kelly Haynie Sr. and Margaret Lee Martin in Riddleton, Tennessee. He married Artanzie E. Britt on October 4, 1941. She departed this life on July 28, 2000. He attended Sunnyside Grade School, Glasgow Normal School, State Street Grade School, Paducah Trade School, Dr. J.E. Jones Bible School and obtained a Doctoral Degree from the Great Commission Theological Seminary. He was retired from Citizens Bank and Trust in Glasgow, Kentucky. He attended the CC camp in Mammoth Cave, KY. and served in the U.S. Army, 1942-1946. Dr. Haynie professed a Hope in Christ on February 1, 1946; he was baptized on February 8, 1946 and he united with Hopewell Missionary Baptist Church. He acknowledged his call into the ministry on December, 1955 and was ordained on February 27, 1956. The churches that Dr. Haynie pastored were, First Baptist Church in Woodburn, KY, Center Baptist Church in South Union, KY., Stony Point Baptist Church in Smiths Grove, KY., Zion Hill Baptist Church in Park City, KY. and Hopewell Missionary Baptist Church in Glasgow, KY (1962-2009). Pastor Haynie’s sons in the ministry, Rev. John C. Glover, Rev. Dr. Eric A. Duke, Rev. Robert Lyas ( Deceased), Rev. James H. Glover Sr. (Deceased), Rev. Dr. Michael Rice, Rev. Dr. Ronnie Bryant, Rev. Timothy Depp, Rev. Jerry Stockton, Rev. Willie Bristow, Rev. Timothy Glover and Rev. James H. Glover III (Jameson). Dr. Haynie was the former President of Minister’s Council for 28 years; 3rd Vice Moderator of Union District Association and was active in The Congress of Christian Education Meetings in the Union District Association. Dr. Haynie served as a member of the Glasgow\Barren County Ministerial Association, was a Board Member of the Housing Authorities in Glasgow, KY. Dr. Haynie served as one of the first Board Members of the Barren County YMCA. He was preceded in death by his parents, a sister, Mary Taylor and a brother, Sam Haynie. He leaves to cherish his memories three sisters, Aline Madison (Rosevelt) of Ann Arbor, MI, Carolyn Price (Eugene) of Lansing, MI and Annie Haynie of Texas; two brothers, Larry Haynie (Debbie) of Mason, MI and Louie Haynie (Carol) of Mason, MI; a step-brother, Reginald Wigg of Lansing, MI; a sister-in-law, Rosie Haynie of Lansing, MI; a Goddaughter, Margaretta Huffman Bailey; his care giver, Deacon Joe Hatchett; a host of nieces and nephews relatives and friends and his Hopewell family, were he was still the Pastor Emertius. For all who knew him is to have known a true Christian. Dr. Haynie was a person that was well thought of and respected because of his Christianity and on going humble attitude. He always guarded his talk and actions, making sure not to hinder the work of his Heavenly Father. For that the Hopewell Church family was very thankful in their hearts to God for such a pastor. The funeral was held at 12:00 P.M. Thursday, January 30, 2014 at Hopewell Missionary Baptist Church with Rev. Carl Whitfield officiating. Burial followed in Oddfellow Cemetery. Any contribution can be made to the Hopewell Missionary Baptist Church P.O. Box 424 Glasgow, Kentucky 42141. Watts & Percell Funeral Home was in charge of the arrangements. Funeral Services were held for Rev. Dr. John O. Crittenden, Sr., who went home to be with the Lord on Thursday, January 23, 2014. Services were held on Tuesday, January 28, 2014 at Eastern Star Baptist Church, Dr. Alex J. Moses, Sr., Officiating. Rev. Crittenden was the son of the late Oliver and Zellie Crittenden. He was born in River Falls, Alabama on December 18, 1918. 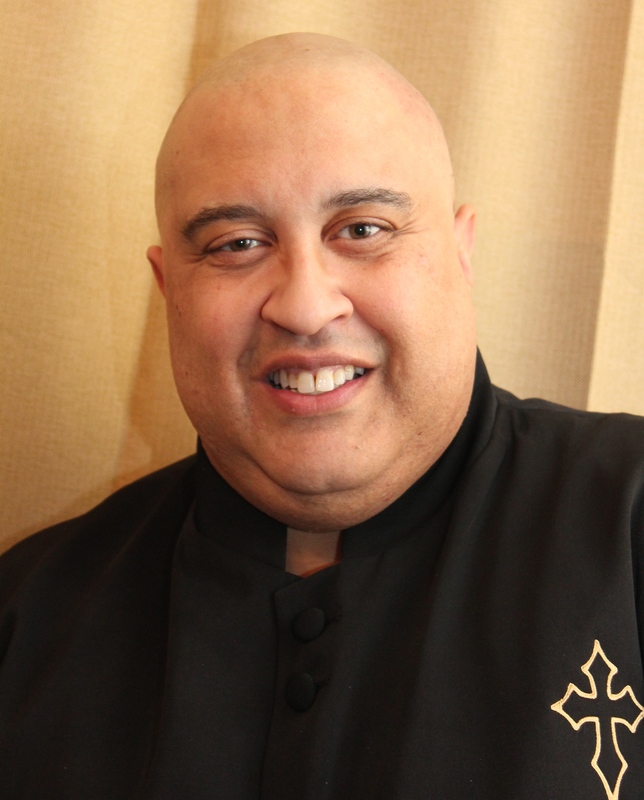 He accepted Christ at an early age and became a deacon at Eastern Star. He was called to the ministry in 1949 and ordained in 1950 at Eastern Star. Rev. Crittenden served as pastor of five churches for over 65 years cumulative: Coopers Run Baptist Church, First Baptist Church, Hodgenville; Kenwood Baptist Church; Burnett Avenue Baptist Church, Louisville; and Emmanuel Baptist Church, Rankin, Pennsylvania. Rev. Crittenden attended Simmons Bible College where he received his Bachelor’s Degree in Arts in Science. He also received his Doctorate of Divinity degree. He was a member of the Central Baptist District Association. While in Pennsylvania he was elected Chairman of the Foreign Mission Board. He is survived by his wife, Eddie Crittenden; daughters, Petilda O’Neal, Obea Patterson, Manetta Lemkheitir, and Phyllis Ritchie; sons, John Jr., David, and Norman Crittenden; sisters, brothers and other relatives and friends. He was interred at Resthaven Memorial Park. On Sunday, Rev. Joseph Jordan preached about a principle that governed his life: the importance of faith. It would be his last sermon. Rev. Jordan, 77, pastor of Corinthian Baptist Church in Hamtramck for more than 40 years, died Monday. He was rushed to a hospital after collapsing at his home in Detroit, said friend Rev. Oscar King. Rev. Jordan was active in many Baptist and civic organizations. He was past president of the Detroit Council of Baptist Pastors of Detroit and Vicinity. Rev. Jordan had previously served as a member of the Detroit Urban League and as a board member of the Hamtramck Chamber of Commerce. Charlene Jones Mitchell, historian of Corinthian Baptist Church, said Rev. Jordan was born in Georgia and raised in Detroit. He received degrees from Wayne State University, University of Detroit Mercy and Drew University in Madison, N.J. He was a licensed master electrician. Mitchell said Rev. Jordan, a father and grandfather, was well-loved by people within and outside of his congregation. A portion of Caniff in Hamtramck was named after him, she said. In 1957, Rev. Jordan married Bobbie Drake. King, pastor of Northwest Unity Missionary Baptist Church in Detroit, called Rev. Jordan his spiritual father.